A circumscribed thickening of the keratin layer of the epidermis as a result of repeated friction or intermittent pressure. /cal·los·i·ty/ (kah-los´ĭ-te) a callus (1). A circumscribedthickening of the keratin layer of the epidermis as a result of repeated friction or intermittent pressure. Synonym(s): callus (1) , keratoma (1) , poroma (1) , tyloma. A protective response of the skin to excessive or prolonged friction or pressure, especially over a bony prominence. 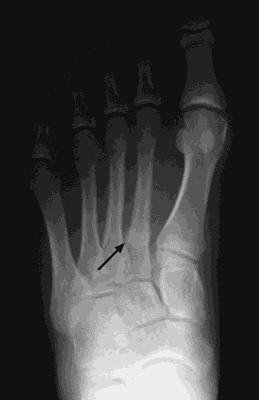 A common example is the corn on a toe caused by ill-fitting footwear or by an abnormally positioned toe. 8 cm, fleshy to slightly coriaceous, the base symmetric, cuneate, the apex convex to rounded, the margin revolute, subentire to slightly serrulate, with 8-14 teeth on each side, teeth in one-size class, each tooth with a distal callosity, the adaxial surface lustrous green, glabrous, the abaxial surface pale green, sparsely pubescent, the venation brochidodromous, with five to seven pairs of secondary veins, irregular spaced, excurrent to mid-vein, higher order veins reticulated, submarginal vein present but irregular. Photographs of callosity patterns and other distinctive body scars allow us to recognize individuals. I]f that dreary Greenland-wind of benighted Want, perennial from sire to son, had frozen him into a kind of torpor and numb callosity, so that he saw not, felt not, - was this, for a creature with a soul in it, some assuagement; or the cruelest wretchedness of all? Once Khomeini told a group of visitors, "The callosity on the peasant's palm is the real deed of the land. The foot must be functional, pain free, plantigrade with good mobility without callosity and does not require to wear modified shoes.